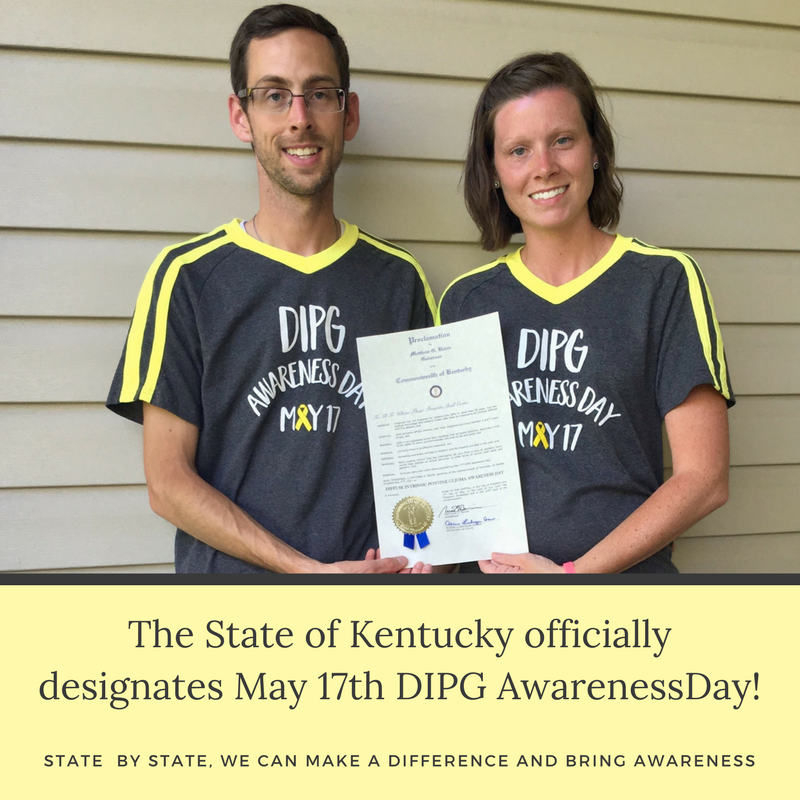 After losing their son Michael to Diffuse Intrinsic Pontine Giloma (DIPG) on May 17th, 2015, Mark and Jenny Mosier have dedicated their lives to bringing awareness and funding to make a difference and to Defeat DIPG. Just one year after his death, they were successful in bringing about DIPG Awareness Day in the state of Maryland. What the Mosier’s didn’t know on this day in 2016 is what lay ahead and that a conversation with Nick Smith would be the catalyst to making this so much more. 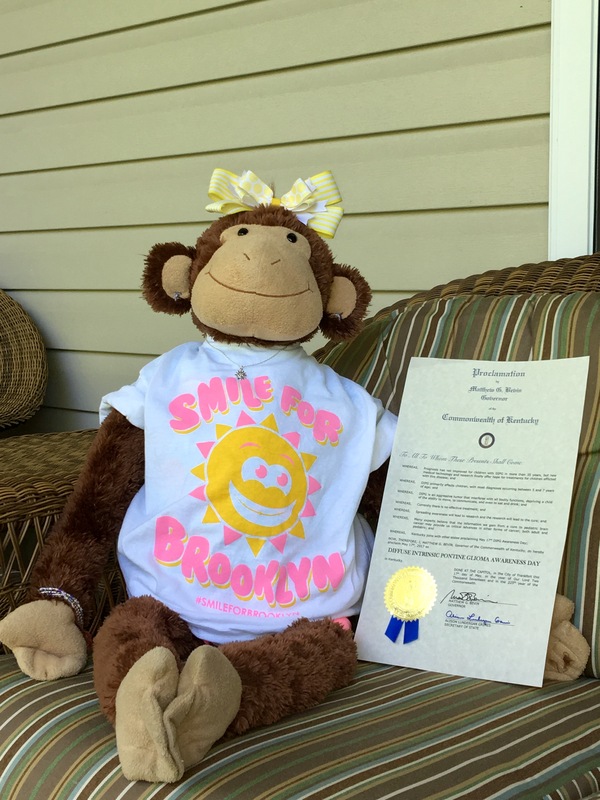 Through the hard work and persistence of Nick and Brittany Smith of Smile for Brooklyn, along with so many others supporting them, Kentucky would become just one of 18 other states to join Maryland in making this important designation in the hopes of changing the future for families who face this dire diagnosis. This bitter sweet day comes just 20 days after their ‘sunshine’ was called home to the Lord. The hard work put in while Brooklyn was still with them now pays off in such a powerful way to stand up in the midst of heartache and continue to be Brooklyn’s voice in the hopes that other families won’t face the outcome they’ve now found to be their reality. We would also like to acknowledge Jack’s Angel’s Foundation for their incredible efforts to get this passed at the federal level through H. Res. 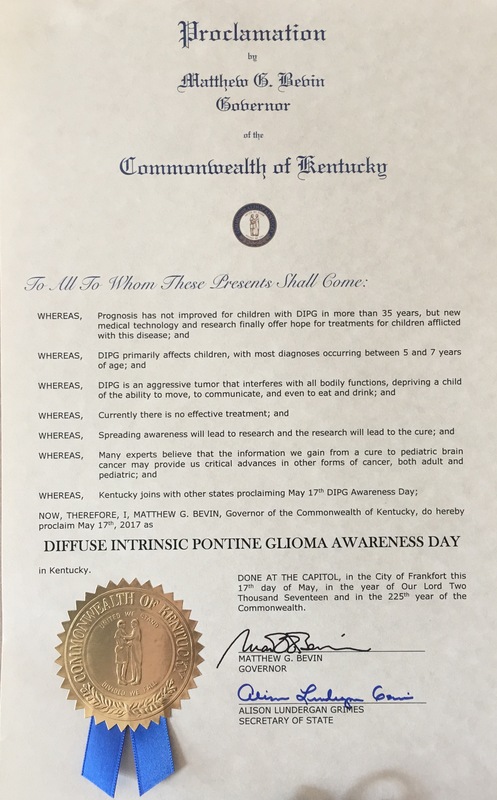 69- DIPG Awareness Resolution in U.S House of Representatives. Nick and Brittany Smith and the Smile for Brooklyn team extends their incredible gratitude to the waves of people who have stood by and supported them throughout their journey over the past 16+ months. Please continue to fight for #MoreThan4 and most of all, continue to #SmileForBrooklyn.